The witch cape is pretty straight forward. 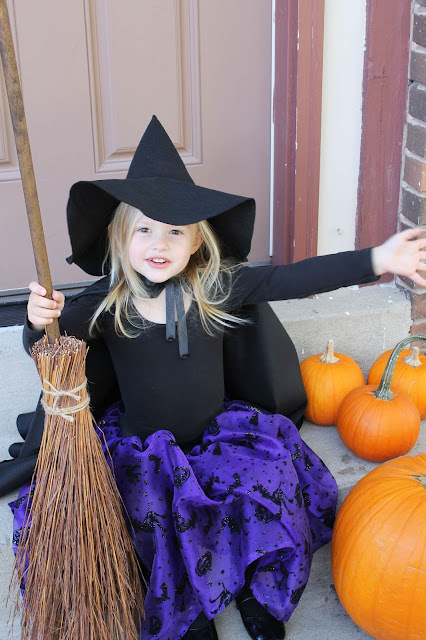 A simple solution for that extra accessory for your little witch. First, decide how long you want the cape to be on your kiddo. I wanted mine to be 15" long (plus, I didn't want to buy more than a yard). 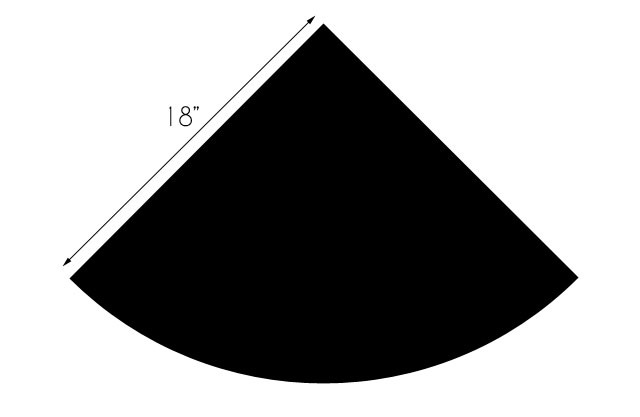 Add three inches and make half a circle by finding the center point of your fabric and measure from that point outwards 18" (or whatever your measurement is + 3), sweeping around all the way to the other side. 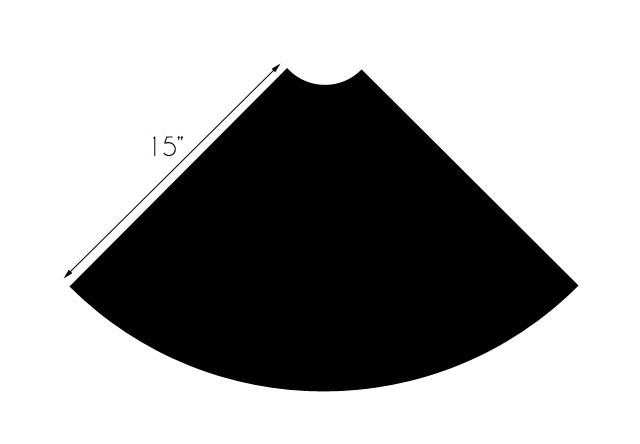 If you don't want the cape to sweep in front, cut the fabric as shown in the diagram below, that is, not an entire semi circle. The cape Chelsea is wearing in the pictures was cut as an entire semi circle. We threw the cape back over her shoulders to show off the whole costume. You can use a plate to cut the neck of the cape or you can measure three inches away from the point/center of the fabric and cut another semi circle. Zig zag stitch around the neck, bottom edge, and sides of the cape. Fold under the fabric at the bottom of the cape and use a straight stitch to sew the hem. Do the same on the sides of the cape. Find the center your 20" ribbon and pin it to the center of the cape's neck, right side of ribbon facing up on top of the right side of the cape. Pin the rest of the ribbon along the neck and use a straight stitch to attach the two. Done! 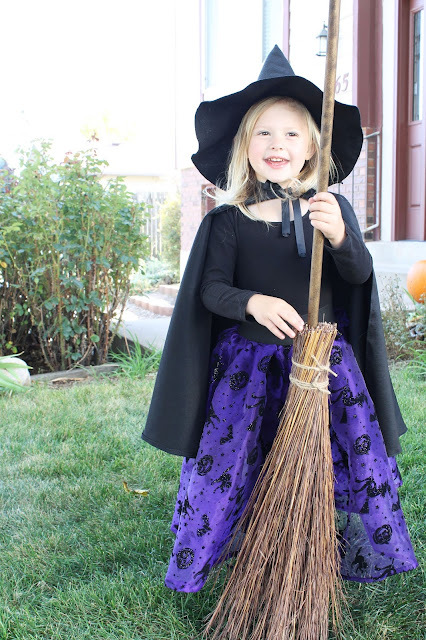 And that's all there is to it for Chelsea's Witch Costume! 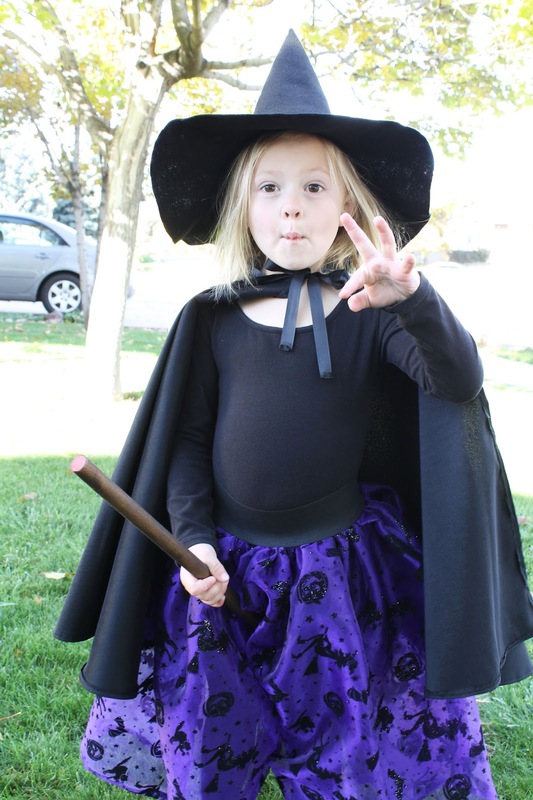 Add a leotard, black tights, and black shoes and you've got a bona fide witch! Click on the links below for their separate tutorials!